My rides predominantly head north and/or west from our house. This quickly gets me into quiet(ish) back country roads and out towards the hillier terrain too. 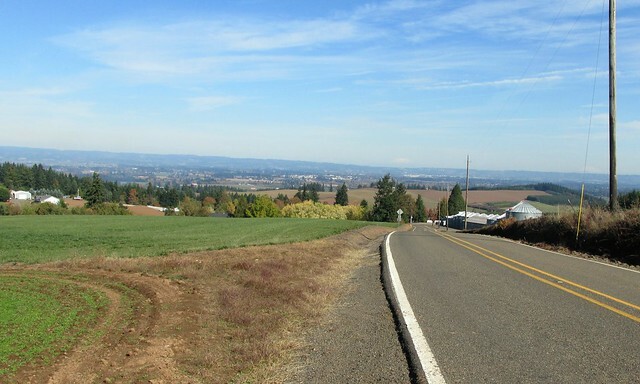 Sometimes though the wind is pretty strong, and living in the valley between the Coastal Range and Tualatin Moutains can make heading east or west (depending on the winds) a hellish battle with winds. There isn’t much in the valley to block the wind. Today it was a “breeze” of 16+ mph with slightly higher gusts coming out of the east. If I took my normal route options this would have meant a really nice tailwind to start, and battling some demoralizing winds towards the end of the ride. So, today I opted for an alternative. I headed east, dealing with the wind first, and then south, then west, and tried to minimize my easterly exposure as much as possible. I only rode for just over 1:15, but it was a nice change of pace. The other alternative for today was the view. 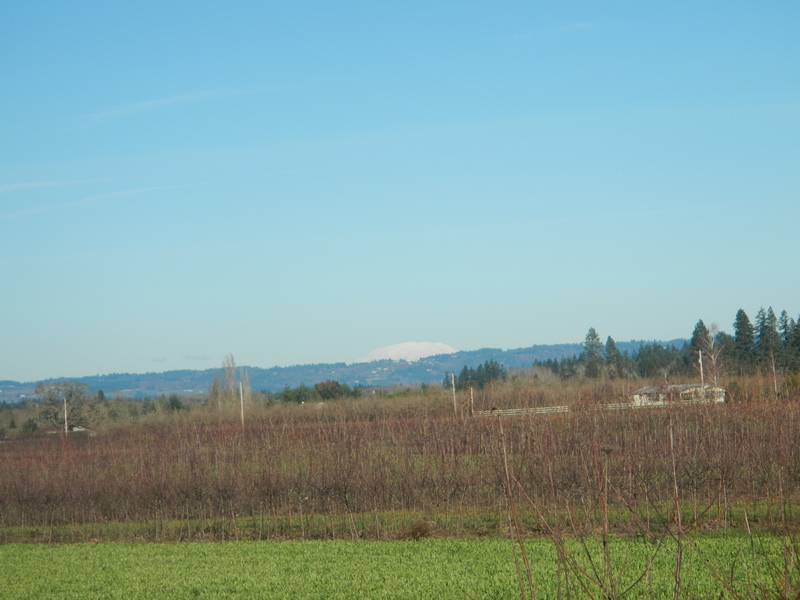 Predominantly, the rides around here are punctuated by views of Mt. Hood. However due to a clear sky, and my southerly route, I got to see a rare sight, at least for me. 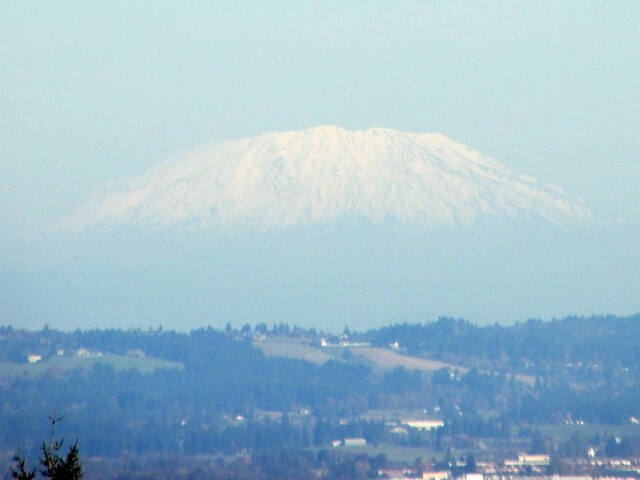 My perspective allowed a pretty sweet view of St. Helens today. Not the best picture, but it was a nice little lesson. Change things up every now and then, you never know how it will change your perspective on things. Though it was nice to see Mt. Jefferson when I returned from Stub Stewart last week. 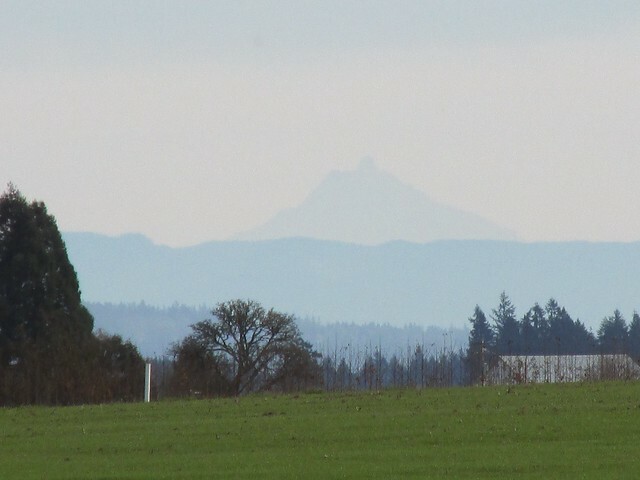 Now that’s an elusive peak over in Portland. We catch Jefferson from wren road a lot. Especially in the summer as the setting sun lights up the peak.